Welcome to my car computer.com! Your number one place for information on all aspects of designing, building and installing a carputer. Check this site regularly as it will be kept updated with fresh developments and information. Why should I install a car computer? The top reasons are flexibility and convenience. You decide exactly what features you install. You decide how you want it to look. It costs you much less than the factory fitted option, which may only be available on top of the range cars. Instead of a load of individual gadgets, you control everything through your car computer. Most of the applications you can run on a PC are better than any individual item of equipment you will buy. You can take advantage of software updates to ensure you stay at the leading edge of technology, very often at no cost. 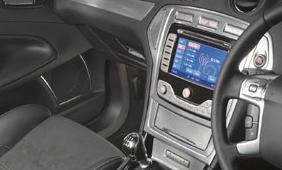 The In Car Entertainment section looks at audio and video options. Imagine if you had a juke box in your car - a juke box with your choice of thousands of tracks. Keep the kids entertained on longer journeys by running movies. With in car satellite navigation, you have a visual and audible guide to get from A to B. Throw away the road maps! Get warnings about speed cameras. Easily find local restaurants, filling stations etc. This is fast becoming a must have feature. A reversing camera improves pedestrian safety and can save you money. Avoid striking pedestrians/children in your "blind spot"
Make trips to the body shop to repair parking damage a thing of the past. Make your life so much easier if you have restricted neck movement. Remember Knight Rider on TV? Now you too can talk to your carputer to control some functions of your car. Really! Read About This Site and learn about it's history and philosophy. Build Your Car PC is the place to start configuring your carputer.